A study has found one in five Brits have pulled an all-nighter to binge-watch their favourite television show. OnePoll surveyed 2,000 British adults also discovering four in 10 watch their favourite show to ‘escape’ or relax after a long day at work. As a result, NOW TV, which commissioned the survey, are offering one TV fan the chance to win £35,000 so they can take a year-long ‘Box Set Sabbatical’ from work just to watch television. It’s testimony to the UK’s love of great telly that people have pulled all-nighters to binge-watch their favourite shows! Time-poor Brits simply don’t have enough hours to juggle a job, social life AND stay up to date with all the must-watch TV. 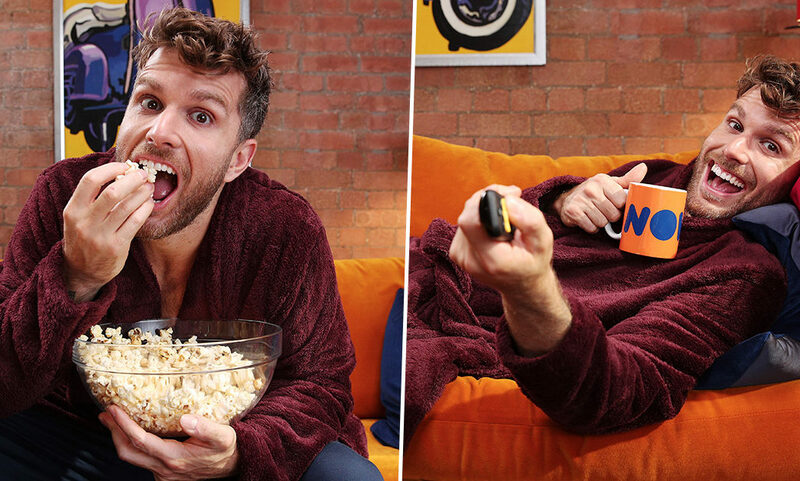 Our research showed one in seven Brits are spending their holidays catching up on telly, so today we launched the NOW TV Box Set Sabbatical, a chance for one TV fan to win £35,000 to make everyday a duvet day and spend the year catching-up on box sets. All you have to do to be in with a chance of winning is submit a video or image showing why you deserve to win via Facebook, Instagram, Twitter or on NOW TV’s website before midnight on February 14. Comedian Joel Dommett is part of the judging panel which will select the winner of the ‘most unbelievable gig’. The study revealed the average Brit has only 100 minutes of free time a day, outside of work and household chores, meaning they don’t have much time to watch TV. As a result, one in 10 of those polled admitted they have squeezed an episode in during their lunch break, while one in 20 have pulled a sickie to watch TV. If Brits didn’t have to care about money and time, a third said they would like to take a paid sabbatical from work, with a quarter saying they would spend it chilling at home. One in 10 said they would also use it as an opportunity to catch up on TV shows they had missed. Game of Thrones was revealed to be the show Brits would most like to binge-watch, followed by The Sopranos and The Walking Dead. However, one in five consider ‘spoiling’ a TV show to be one of the worst social faux pas so a third of those polled said they prefer to watch a show as soon as it comes out. If you do enter, good luck!